Any person running a business needs business letterhead that represents the business in a professional way. There are different documents containing different types of information that you have to send to different people on behalf of the business. What makes your documents different from others and maintain the identity of your business is the business letterhead. Whether you need to send an invoice or a written contract, printing all the details on the business letterhead imparts the professional look. Letterhead is a sheet of paper with heading at the top, and the heading usually contains a name, an address, a logo and corporate design with a background pattern. 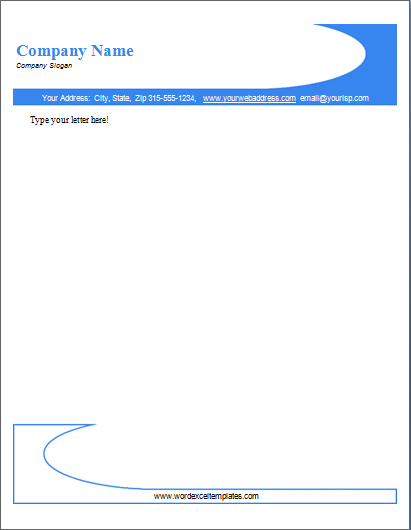 It is often used to print official letters, and many companies, as well as individuals, prefer to create a letterhead template in a software application. It is printed stationery required by every business organization. It is printed on A4 size paper and its typical size in the USA is 8.5 x 11 inches, and in the UK, its size is 210 x 297 mm. There are many uses of letterhead, because all official documents, such as appointment letter, termination letter, proposals, meeting invitations, etc., are typed on the letterhead of the company. 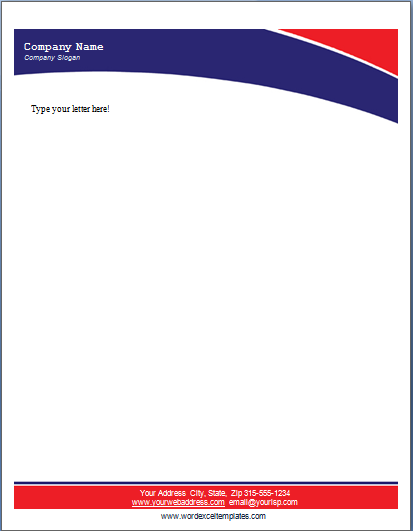 How to make a letterhead easily? Letterhead has great importance, therefore professional designers are usually hired for the designing of letterhead format, but there is a simple solution for this problem. 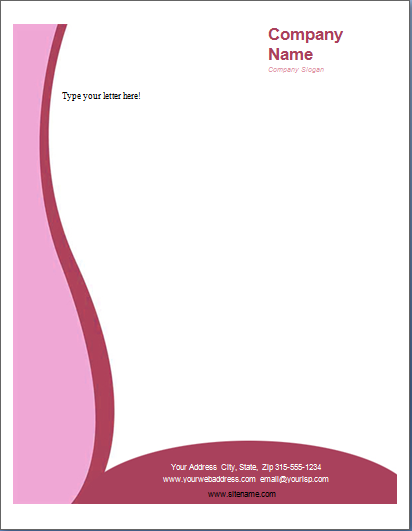 If you can’t afford any professional designer, then you can download this free letterhead templates. 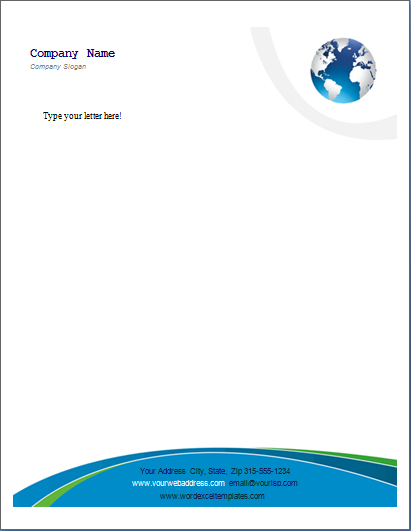 It will help you to design a professional letterhead for your business correspondence. Its professional layout can easily match with your needs. It is easy to modify, because of its user-friendly format. Letterhead is required in almost every business, even a doctor also requires a letterhead, because it may serve as a promotional tool. 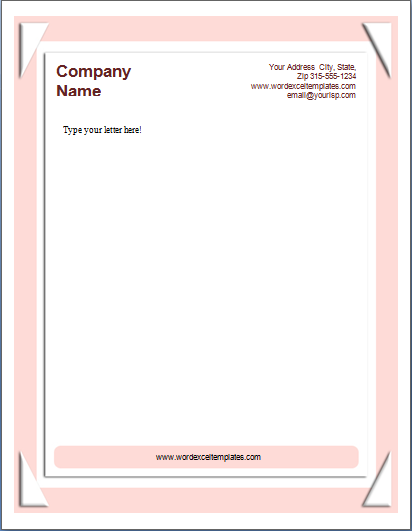 You can write your business name, important phone numbers, and addresses at the top of the letterhead. 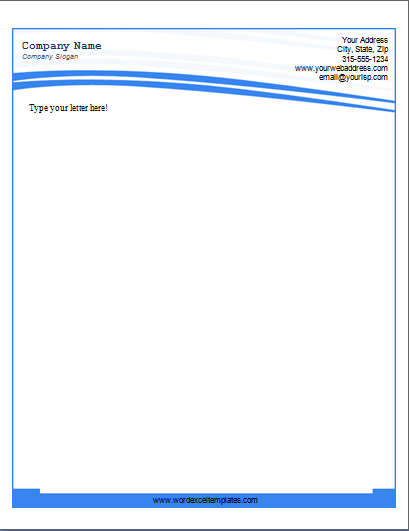 A readymade template for the letterhead can be used which requires the user to make small modifications in order to make it suitable to be used by them. What are the benefits of using business letterhead? When you use the letterhead for interacting with others on behalf of your company, it increases the credibility of your company. The letter provides the contact details also that makes the recipient know that they can contact you whenever it is needed. In this way, they get a sense of realism. For most of the companies, the letterhead plays an important role in brand recognition. Since the letterhead includes the name, logo and contact details of the company in view, it increases the exposure of the company. The more it is exposed, more it gets recognition. So, if you want your company to be known and recognized, making use of business letterhead is a useful technique. When you send any document written on the letterhead, you give an impression that you are solely responsible for the details added to the document. You can later use this document in legal proceedings. As a matter of fact, the letterhead is a great advertisement tool since the company makes interaction with different people through letterhead that makes people curious. A letterhead is great tool when you want to make a distinction between you and your competitors as every business has a unique letterhead.